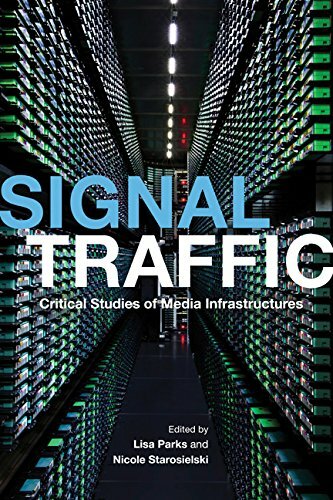 The contributors to Signal Traffic investigate how the material artifacts of media infrastructure--transoceanic cables, mobile telephone towers, Internet data centers, and the like--intersect with everyday life. Essayists confront the multiple and hybrid forms networks take, the different ways networks are imagined and engaged with by publics around the world, their local effects, and what human beings experience when a network fails. Some contributors explore the physical objects and industrial relations that make up an infrastructure. Others venture into the marginalized communities orphaned from the knowledge economies, technological literacies, and epistemological questions linked to infrastructural formation and use. The wide-ranging insights delineate the oft-ignored contrasts between industrialized and developing regions, rich and poor areas, and urban and rural settings, bringing technological differences into focus. Contributors include Charles R. Acland, Paul Dourish, Sarah Harris, Jennifer Holt and Patrick Vonderau, Shannon Mattern, Toby Miller, Lisa Parks, Christian Sandvig, Nicole Starosielski, Jonathan Sterne, and Helga Tawil-Souri. View More In Computer & Technology Industry. If you have any questions about this product by University of Illinois Press, contact us by completing and submitting the form below. If you are looking for a specif part number, please include it with your message. Blockchain: Everything You Need to Know in Simple Language!